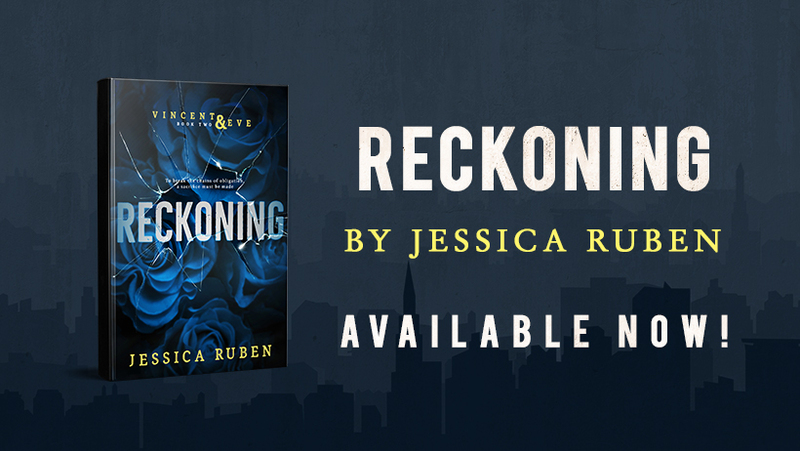 We’re celebrating the release of RECKONING (Vincent & Eve #2) by Jessica Ruben! 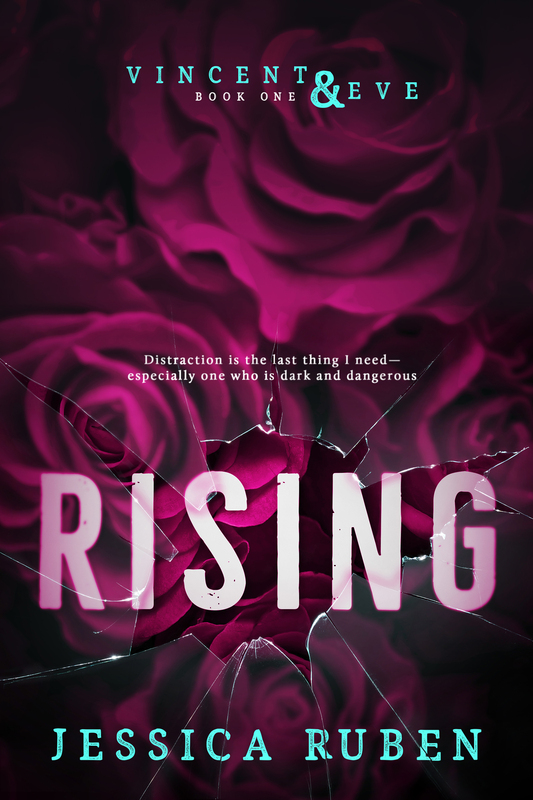 One-Click your copy and if you haven’t purchased RISING, do it now while it’s only $.99! In Book 1 of Jessica Ruben’s Vincent and Eve series, Eve rose above her mother’s constant neglect and verbal abuse, the Blue Houses’ violence, and her poor girl circumstances; she achieved her goal, making it out of the ghetto and giving herself every advantage to never return, which means that she’s not going to abuse this chance, even when things become a lot more complicated due to Vincent’s celebrity status and presence on campus as well as Eve’s struggle to differentiate between what’s real and what’s show when it comes to who Vincent associates with and what his role is in the family business. 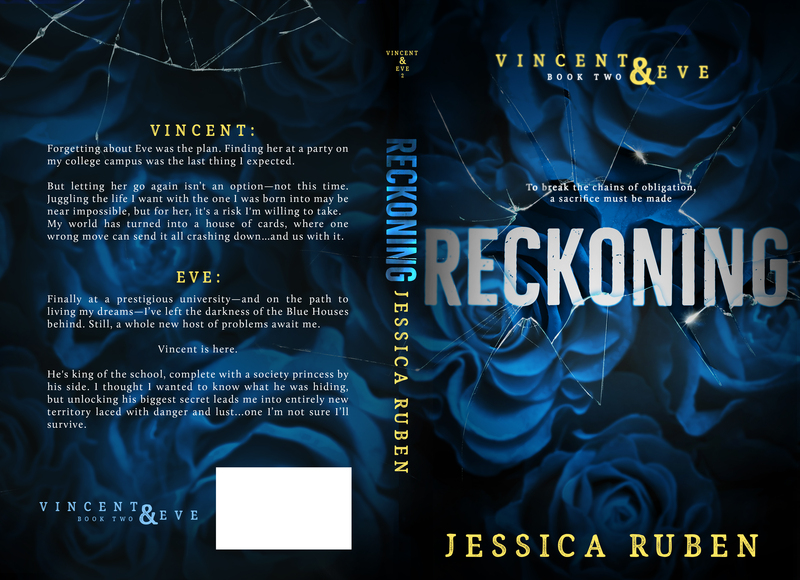 A day of reckoning seems inevitable for Vincent and Eve, not only because of the dangers of Vincent’s world and his status as a made man destined to takeover for his father, but also because of the reality of their feelings for each other and the threat that poses to their current lives as well as their futures. Ruben makes sure that her readers understand the difficult position that Vincent is in; he’s attempting to prove to Eve that what they have is real and that he wants to be with her, while still doing what needs to be done to appease his father and honor the code he lives by. This is definitely not an easy feat given the circumstances he has to deal with when it comes to the various roles he must play, which means eventually something has to give. Eve, once again, feels like she doesn’t belong, partly due to the duality of Vincent’s life and how it makes her feel but also because she continues to question her relationship with him as well as the superficiality of those around her. Eve is in an extremely tenuous position, and I can’t blame her for her feelings of insecurity or her inability to let Vincent go despite the knowledge of who he is and what he does. 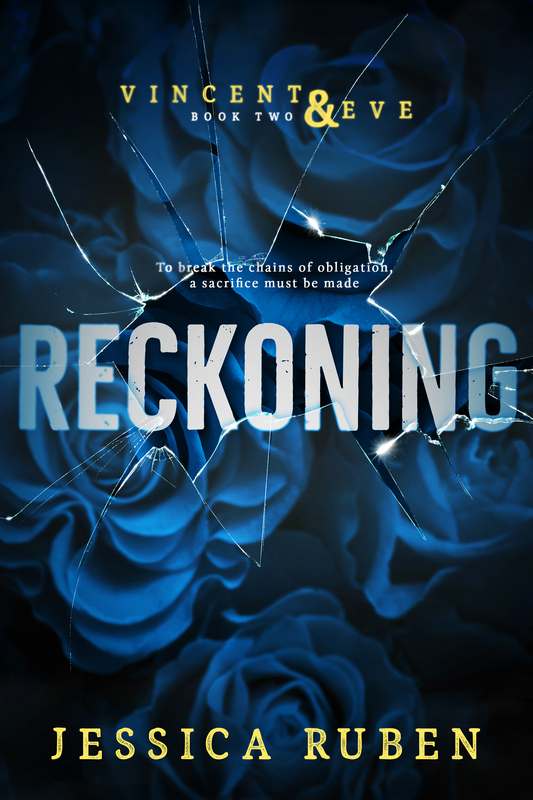 At the end of Reckoning, things go down that will unequivocally alter both Vincent and Eve’s lives, but where that leaves them heading into book 3 is still unclear. There are a series of obstacles that at this seem insurmountable, but if readers have learned anything about Eve and Vincent throughout the first two books in the series it’s that they’ll fight for what they want and not allow anything or anyone to interfere, but what that means for their redemption is still too soon to tell. 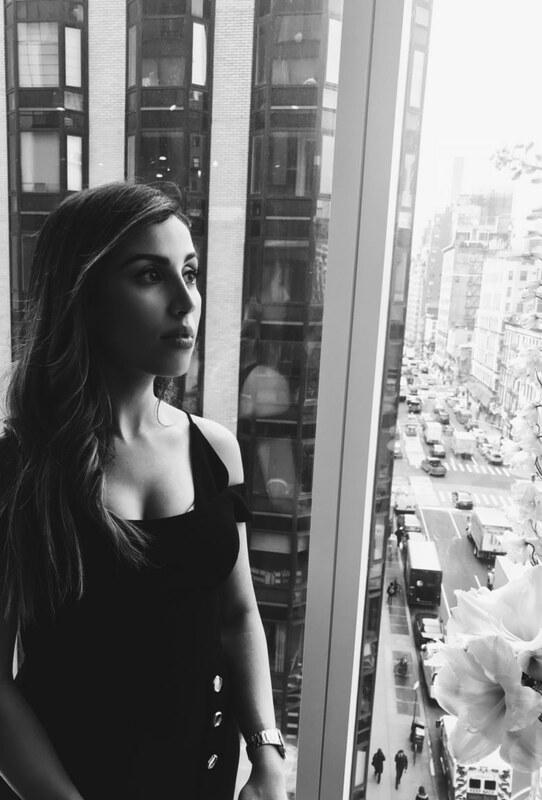 The continuation ofVincent and Eve’s story illustrates exactly what these two are up against, and as Jessica Ruben provides readers with further insight into exactly who Vincent is and why he does what the does, we can’t help but understand the precarious position he’s in and while some will not condone his decisions or his actions, I can’t help but see everything from both Vincent and Eve’s perspectives, which means that once all truths are revealed and understood, I still hold out hope that they’ll both be redeemed.